Kangana Ranaut does full justice to the warrior-queen in the trailer of her latest film. If there is one word that terrifies film writers, it's 'Budget'. You may have a great script, envisioned on a grand scale, but, until a producer like Karan Johar steps in, your film is not going to be made. No wonder the story of the valorous queen of Jhansi, a dream role for many Bollywood actresses, has not seen the light of day as a movie though many heroines, including Sushmita Sen, tried their best to do so. The box office too does not seem to be too fond of historicals and period movies. Aamir Khan learnt this lesson the hard way with Mangal Pandey. Jodha Akbar, Bajirao Mastani and Padmavaat fit better in the genre of romance than true historicals. But when the script flows from the pen of K V Vijayendra Prasad who wrote both Bahubali and Bajrangi Bhaijan, then it is not difficult to find a good producer and a popular actress to helm the film. 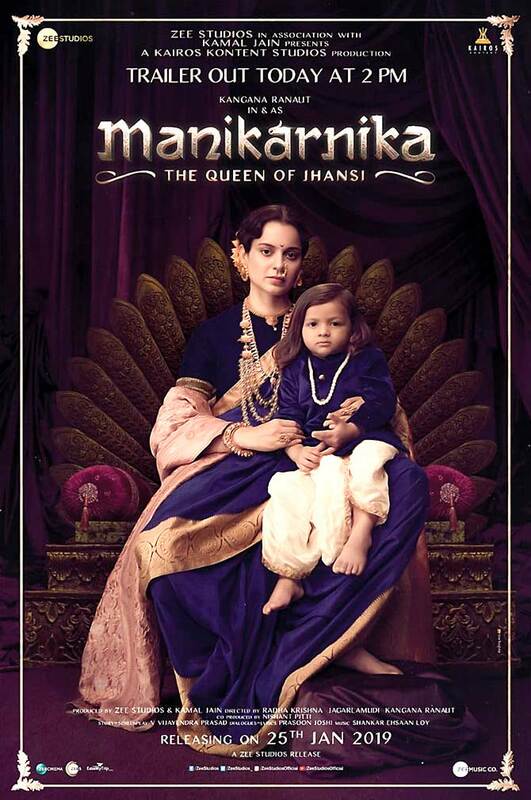 This time, Kangana Ranaut got the opportunity to play the fiery Manikarnika: The Queen Of Jhansi, And, in the just-released trailer, she does full justice to the part. What the trailer, and by definition the movie, does not do justice to, are the facts. 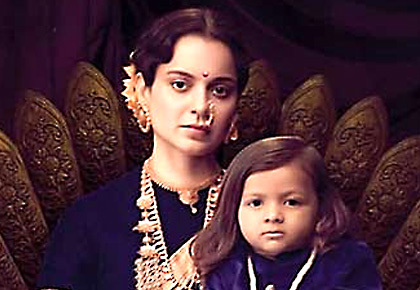 For example, the young child on Kangana's (Manikarnika's adopted son Damodar Rao) back in the battle of Jhansi seems to be three years old. This famed battle took place in 1858 when Damodar was 9 years old... Which begs the question: Why does Kangana have a toddler strapped to her back when she rides out for the battle of her life? But the worst moment in the trailer is the scene in which blood -- looking more like ketchup -- is seen oozing through Kangana's teeth. Twitterati have trolled this moment when the teaser was released, so one wonders why it was retained in the trailer. Frankly, it only serves to change the emotion in the scene from serious to comical. Despite the flaws in the trailer, I do hope Manikarnika gets the audience support it needs. The story of the brave queen, who laid down her life for our freedom, needs to be told and needs to be made popular.